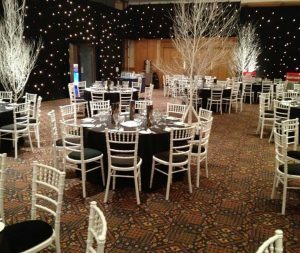 Whilst you can’t always rely on the weather for a white Christmas, you can bring your very own Winter Wonderland Themed Event to life with our fabulous event furniture and table centres for hire. 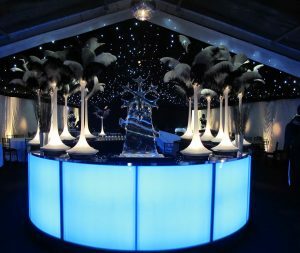 For snow-and-ice-style surroundings (that won’t melt away! 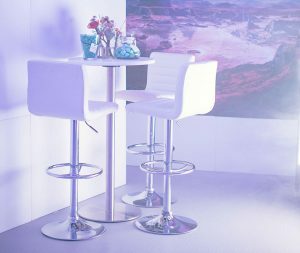 ), set the scene with a little help from our LED and Mirrored furniture ranges. 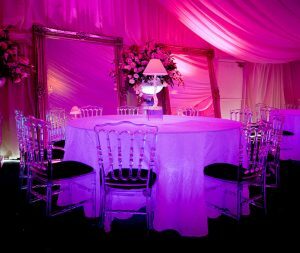 Lighting is an important feature that can completely alter the look and feel of your room. 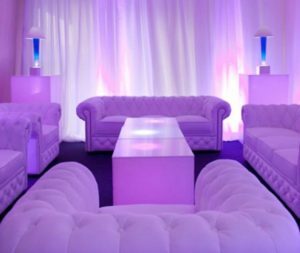 Why not use our LED furniture to add those essential cool blue or white tones? 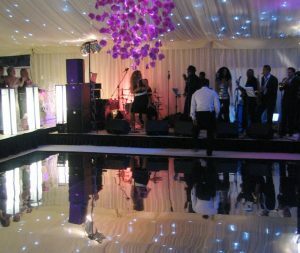 For a focal piece, our LED Illuminated Bar or Disco LED Dance Floor are guaranteed showstoppers. 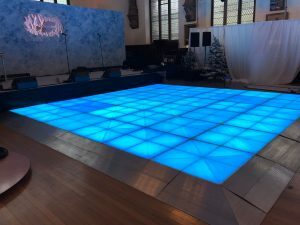 You can cleverly create your very own ice rink by setting our Disco Dance Floor to a cool ice blue. 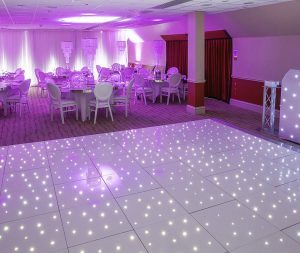 Or how about dancing the night away on a Silver Mirror ‘Frozen Lake’ Dance Floor? 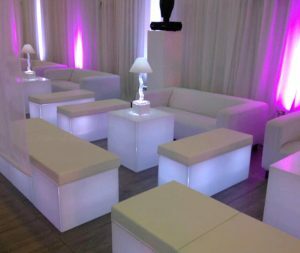 For an injection of colour in different areas, try our Geo Illuminated LED Seating range – available in cubes, benches and coffee tables. 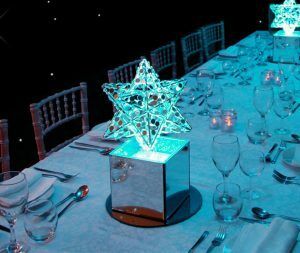 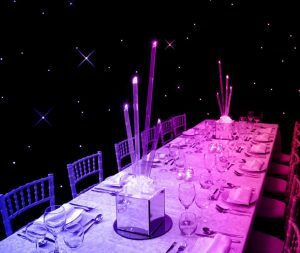 To finish off your winter ambience, add some of our versatile LED Table Centres. 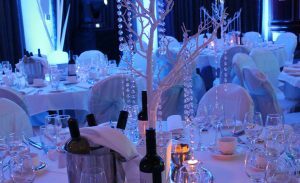 Here at Furniture4Events, we love to provide you with products that will set your event apart from all the rest. 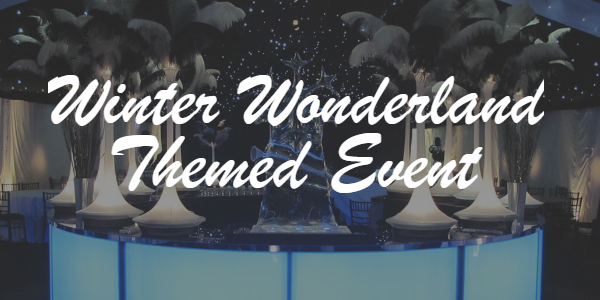 If you are in need of a dining area for your event, we have some truly unique tables that will put the “wonder” into Wonderland! 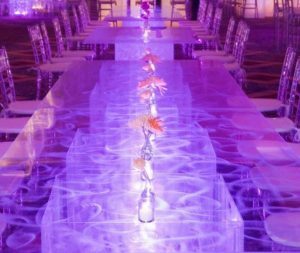 Try our LED Illuminated Dining Tables with their stunning swirled pattern, or our Silver Mirror Table Tops. 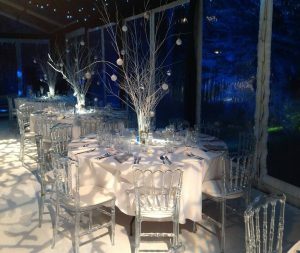 Team your tables with white, crystal or glass accessories to emphasise your wintry theme.